Going on vacation is also about looking for comfort and real luxe with high-range services. 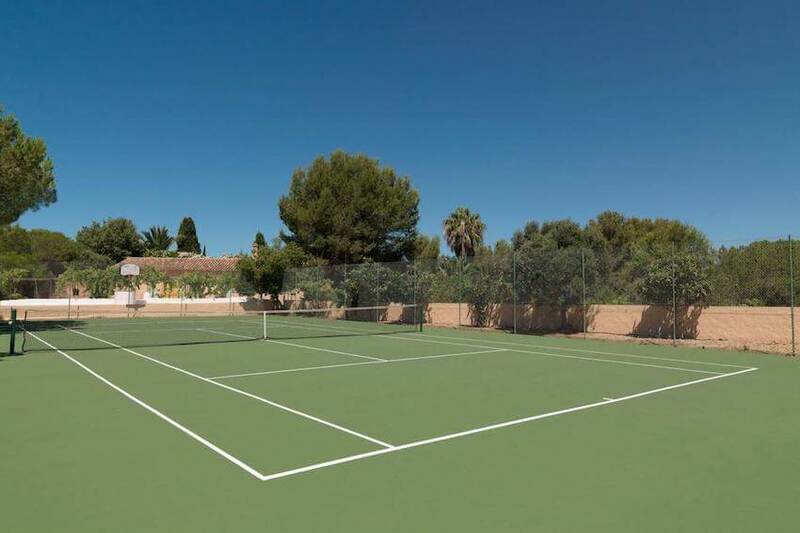 All over the world, our luxurious villas offer you anything you wish… So why not dream of a villa with a tennis court? 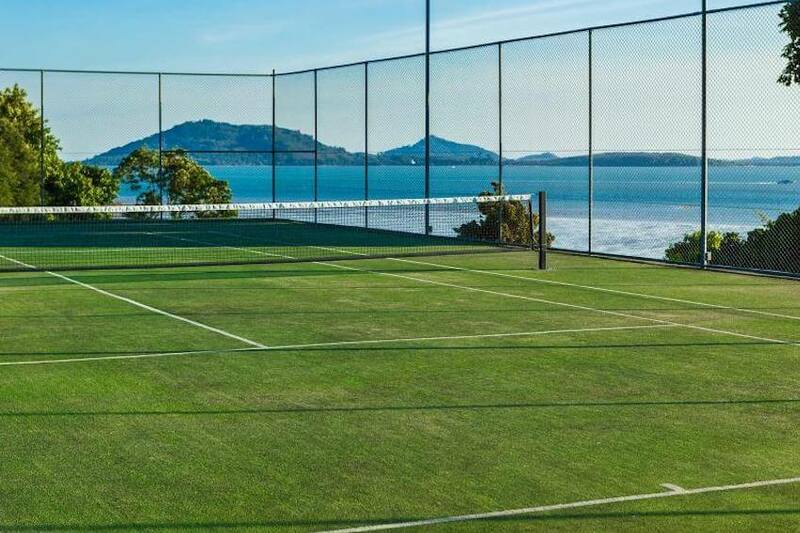 Find out 26 of our exceptional villas with a tennis court for you and your loved ones only. In the palm grove of Marrakech, divine comfort is waiting for you in the marvellous Dar Marja, a traditional house full of charm. Thanks to an attentive house staff prepared to make of your vacation an unforgettable stay, you will enjoy perfect moments without having to care about anything else. 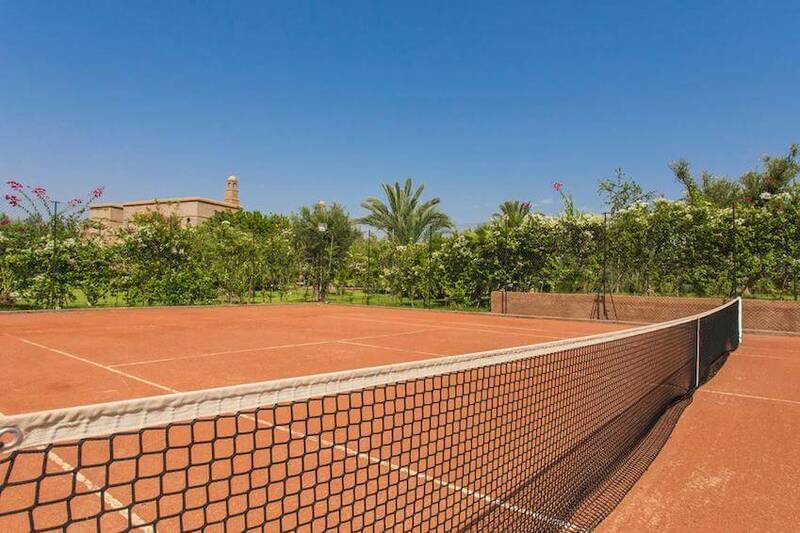 Moreover, it has a heated swimming pool, a hammam, a massage room and a tennis court illuminated at night for you to play whenever you wish. The luxury concierge service has been valued as well by our clients. “The food was really excellent. Staff were very pleasant, eager to please and discretely available whenever needed. The house manager / butler was excellent too. Villanovo was professional, accurate and responsive as always. Added bonus of having same Concierge (Mathilde) as past visit to Marrakech.” - Tony D.
The French Riviera is a seducing littoral in the south of France with beautiful natural spaces and charming beaches. But the hidden beauty of this little corner of France also lies in the property that it owns. Among these treasures, villa Belle Vue is a traditional-style villa which offers a great intimacy near the frenzy of Saint Tropez. On a site of 35 000m2 and in addition to beautiful exteriors, interiors are just as welcoming in clear and pure tones. 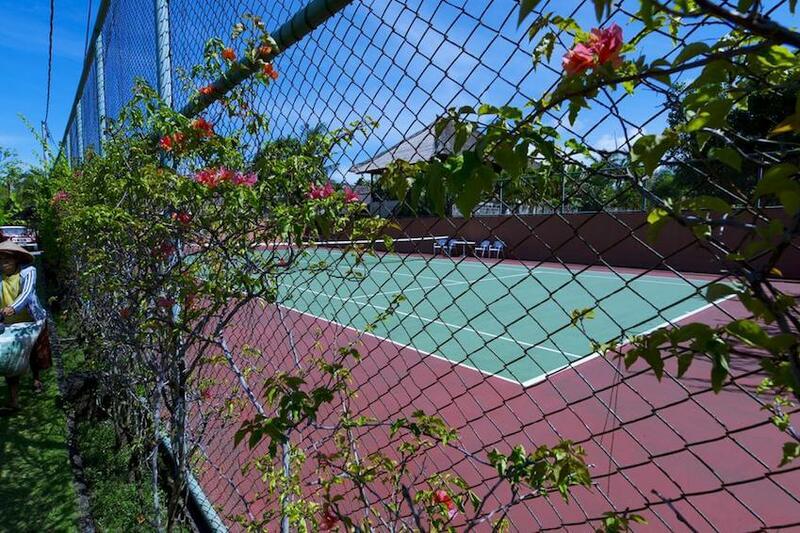 And, if you like tennis games, you will find your happiness on the villa’s tennis court. Discover a sumptuous property: Villa Voss… Only a few minutes away the center of Marrakech, its refined architecture with Moroccan contemporary touches is a treat for the eyes. How not to fall under the spell of this beautiful villa surrounded by a garden of olive and palm trees? 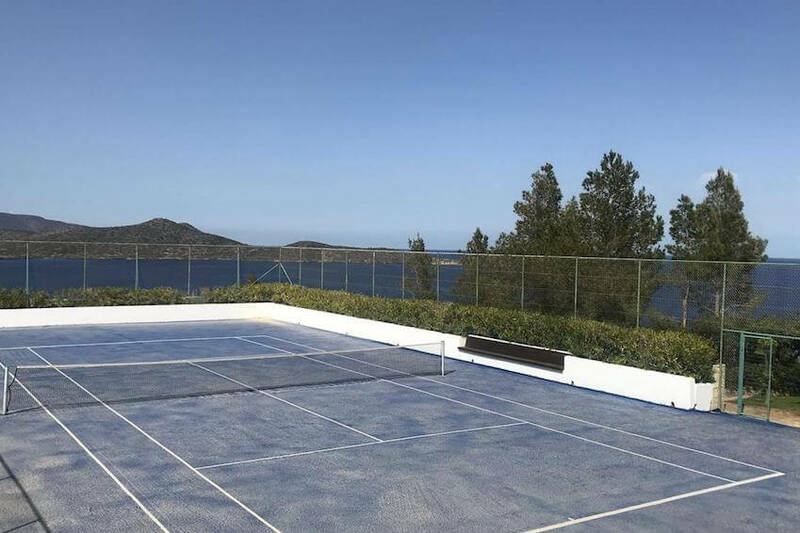 The younger ones and their elders will have the freedom to choose how to entertain themselves: a tennis court, a large pool and a smaller one for children, a bocce ball playing area and inside, a soccer table, a billiard table and a game of darts will be at your disposal! Add it a friendly staff house and you will get the perfect family vacation. In the heart of an olive grove, Villa Angela is a splendid villa in an outstanding morrocan style. Close to Ourika road, it is facing the great mountains of atlas and offers a charming life environment. Exteriors and patio are flowery and give to the villa its mesmerizing Arabian nights feel. To fully enjoy your stay, the house staff is at your service and ready to answer your needs. 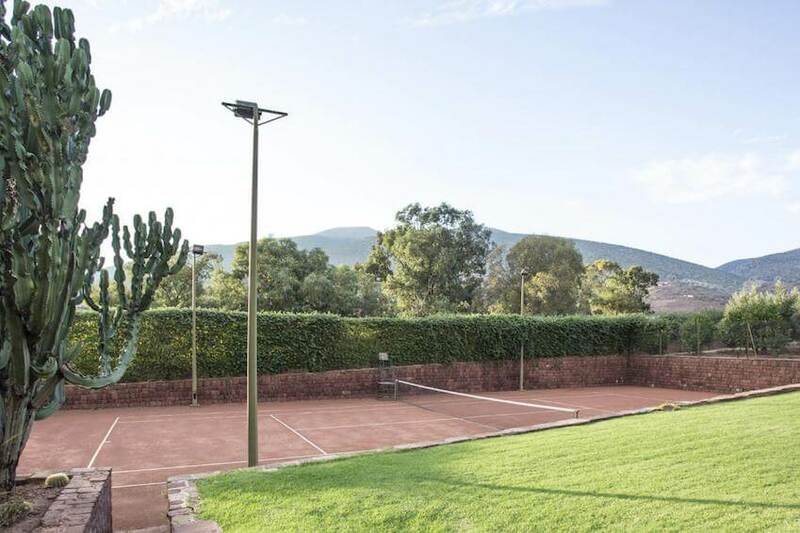 Up to 14 persons, share a beautiful vacation in this property with heated pool and its tennis clay court. "I wanted to pass along my compliments to you and your staff for what was an incredibly relaxing and beautiful week. The environment you have created with the combination of your home, it's accompanying furnishings and decoration along with how you have landscaped the grounds is breathtaking and contributed greatly to a magical first visit to Morocco for us all. I wanted to mention your house manager Aziz Kibari. His attention to our needs, willingness to provide us recommendations for activities, guides and general attentiveness made our visit all the more special. He was also very helpful in a minor medical emergency involving one of the children which was resolved easily thanks to his assistance. I was touched on our last day when our children asked him if they could hug him they were so touched by his kindness and overall care for our group. Thank you again for having us as guests at your villa." - Penny H.
Living the castle dream at least once in his life, a desire we all keep for ourselves, right? It is a dream that can come true by staying in the Château de Tourreau, a majestuous castle of the 17th century in Provence. In the heart of a large parc carefully maintained, discover its inner courtyard with fountains and basins. It also owns a private pool with a summer kitchen made for you to fully enjoy your sunny days. And, pushing the entrance door, you will have the pleasure to see wonderful pieces of art and antique european furnitures. Are you seduced? In Bin El Ouidane, the collaboration of an architect and a landscaper gave life to a contemporary refined house, straight out from their imagination. In the heart of a huge private garden of olive trees, Villa Lhotse proposes a modern comfort with luxurious services. Benefit from splendid views on the lake with direct access. The property owns everything you need: a cinema living room, an illuminated tennis court, a bocce ball court and a wonderful pool. “Even better than on photos: the house is wonderful and perfectly suitable for a family reunion like we had. The site is heavenly. We walk in the property full of olive trees. Next to the house, the cactus garden is remarkable. The pool, the various activities made us have a dream week. Special mention for the excellent dishes made by truly kind ladies.” - Bernard L.
On the edge of a forest of argan trees, Dar el Salam owns the best house staff of Essaouira for your vacation! With a interior decorated with moroccan tones, materials and motifs, the property has a seducing charm in a oasis of tranquility. 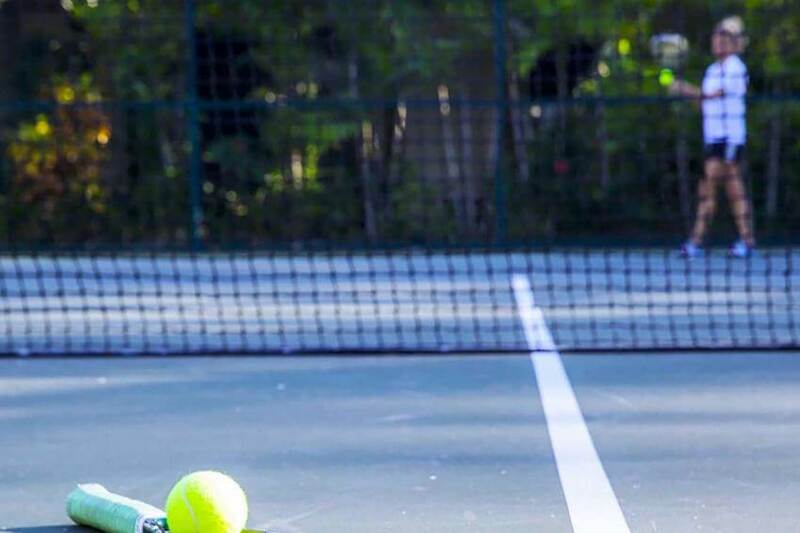 Near a golf, enjoy luxurious services to entertain yourself during your stay with a mini-tennis, a volleyball ground and a large heated infinity swimming-pool. Welcoming up to 20 persons, you will get the chance to explore the area on a camel or on a quad to go to the beach. “We were truly in paradise at the riad - not only was the property so amazing with the heated pool and our own tennis court, but the butler Yassin was out of this world. He played with the kids, he did the menus and bought all the food, he came with us to town (Essaouira) and was our tour guide, he was putting new decorations on the table for each meal, he put TONS of candles around the house (as I told him we loved candles) etc. I have never witnessed someone so devoted to running a place and making visitors happy. Also the 2 chefs in the kitchen preparing amazing food for us all the time - unbelievable….” - Lara C.
In a private complex of luxurious properties, Amilla Villa Residence allows to stay up to 20 personnes feet in water in the Maldives. 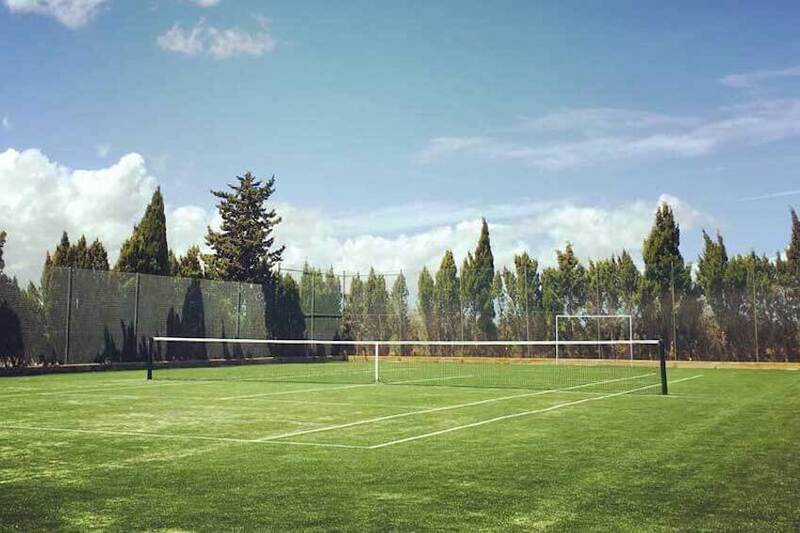 This complex gives access to restaurants, a tennis court, a world-class spa, a children club and prepared activities. In Baa Atoll, the villa itself owns 2 beautiful swimming-pools with a sea view varying shades of blue and a house staff made of a head chef and a babysitter. Renting the property, a buggy and bikes are at your disposal to go have a ride in the surrounding areas. On the spot, you will have the opportunity to go observing the dolphins or turtles, or simply take your day for a catamaran excursion. Waking up every morning facing the ocean in the heart of a tropical forest is priceless… So why not enjoy this pleasure? Book now your stay in the outstanding Villa Praana Residence for an unforgettable vacation in Thailand. Within the property, a full-time and professional head chef and his team are there to answer your needs and try to make your stay as perfect as it can be. 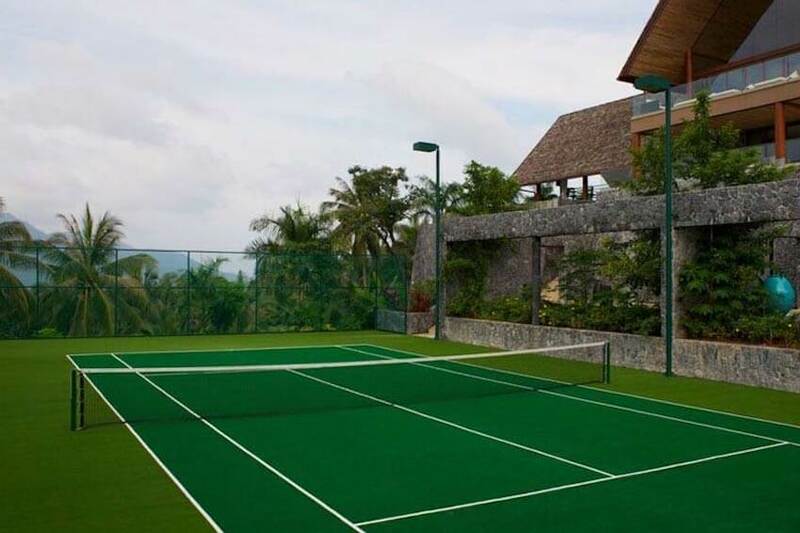 And, we cannot talk about luxury villas without mentioning all the services it provides: a tennis court, two infinity pools, a Muay Thai boxing ring, a gym, a cinema room and even a nightclub with bar and billiard. For a total well-being and to enjoy truly restful vacations, a hammam, a sauna and a massage room are at your disposal. On the East coast of Phuket, Sawarin is a luxurious property in Cape Yamu which will give you access to Point Yamu hostel by Como and its club of private beaches on the island of Naka Yai. From the sumptuous interior and exterior spaces, you will face a panoramic view on the bay and the garden. By renting this beautiful villa, you will have the chance to enjoy a private spa with a large swimming pool, a fitness room and a kind house staff with a Thailandese head chef and a villa manager. In the exclusive domain of Cape Yamu, Thaia provides a quiet life environment where luxury, design and intimacy are combined. On the east cost of Phuket, expect to live an exceptional stay on the heights of the bay of Phang Nga. Worth of a 5 stars accommodation, you will have a direct access to the beach, a private infinity pool, a jacuzzi, a fitness room, playrooms, a green of golf and way more. What else could you dream of? Chic and modern, Blue Ocean is another villa on the east coast of Phuket which offers you wonderful views on the ocean and its private beach. In a minimalist style, it combines contemporary and thaï architecture. Inside, works of art perfectly decorate the rooms with pure white walls and open on the exterior face to wonderful sunsets. And, for an ultimate luxury, discover its spa, gym, pool and home cinema for you only! “Wonderful stay and available services” - Sebastien P.
Facing the beach of Lipa Noi, have a family stay in all tranquility in Villa Waimarie in Thailand. With direct access to the beach, its location is ideal from the swimming-pool and tropical gardens. 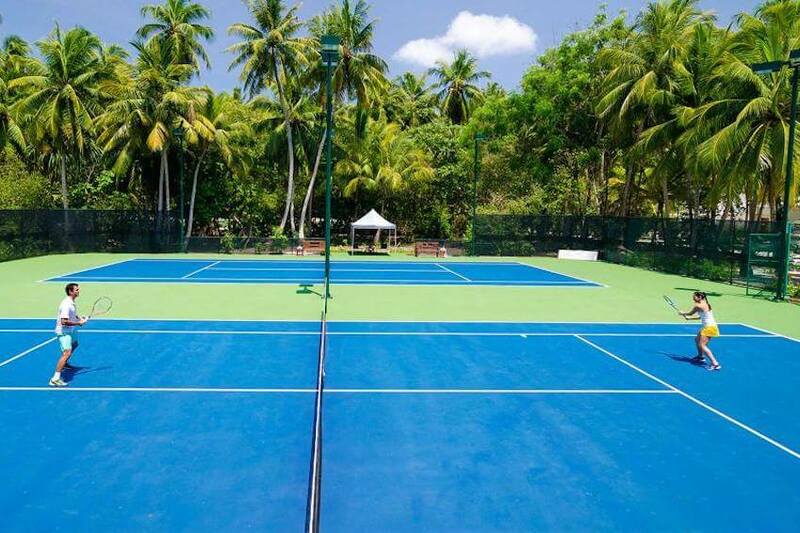 It is also there that kids will be able to have fun in the play area while their elders will play on the tennis court or at the beach. Furthermore, the inside of the property reflects the love for the classic asian art of the owners. To optimize your stay, we put at your disposal a house staff prepared to answer your requests and needs. Within paddy fields, Villa Arsana offers you a stay in one of the most beautiful village of Bali in Tohjiwa. In a tropical background, four pavilions are distinguished with large outdoor spaces able to welcome up to 10 persons. In the heart of the garden, the huge infinity pool smoothly integrates the natural decor of blue shades and leaves place to the garden which bring us to the winding Sungi river just near the house. In luxury and dream asian comfort with a playroom and a home cinema, benefit from a customized service of quality by a discreet and attentive house staff. You’ve always dreamed of going on vacation in Indonesia? Well, we have the villa you need! Surya Damai got inspired of local architecture with large tropical gardens and a beautiful infinity pool. The property is divided in 7 pavilions around the pool and offers you beautiful views on the paddy fields. 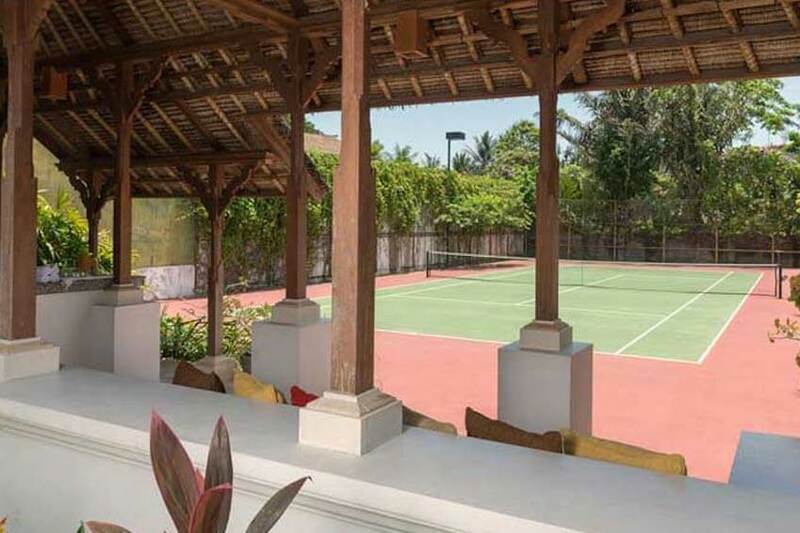 A few minutes away from Seminyak by car, you will have a close access to the Batu Balig beach with nice surf spots and a tennis court. You will also be near one of the most beautiful golfs in the world, the Nirwana Golf. In an occidental comfort, a house staff is at your service to make you have an ideal stay. Thanks to the head chef which will adapt to your tastes and requests, you will enjoy local or international specialities. Book your vacations now for a fabulous stay in Lubéron! Up to 34 persons, discover the Bastide of Lourmarin and its prestigious environment in the heart of a regional parc of Lubéron. The site is divided in two buildings: “la soie 1824” and “la Bastide 1664” , and offers interesting services. Indeed, you will enjoy the pool, the gym, the tennis court as well as the spa and jacuzzi. In the villa’s surroundings, a high amount of activities are yours: lovely bike rides, canyoning, speleology or simply walks in nature. “the location of the villa (this is the primary reason to recommend the villa to other people who travel in large groups, i.e. more than 12 couples) the gym, entrance & garden, the terrace, the fact that all bedrooms have ensuite bathrooms, the number of bedrooms, the facade of the building and Patricia, who was there everyday and the young girl & gentleman who cleaned up the house in the morning were great! !” - Erensah A. Ideal for a big family or a group of friends, Beji is a beautiful contemporary villa near the Pura Tanah Lot temple perched on a steep rock. This spacious property has a capacity of 16 persons in an exotic decor with a lot of open open spaces on the exterior and a large pool with a sunny terrace. 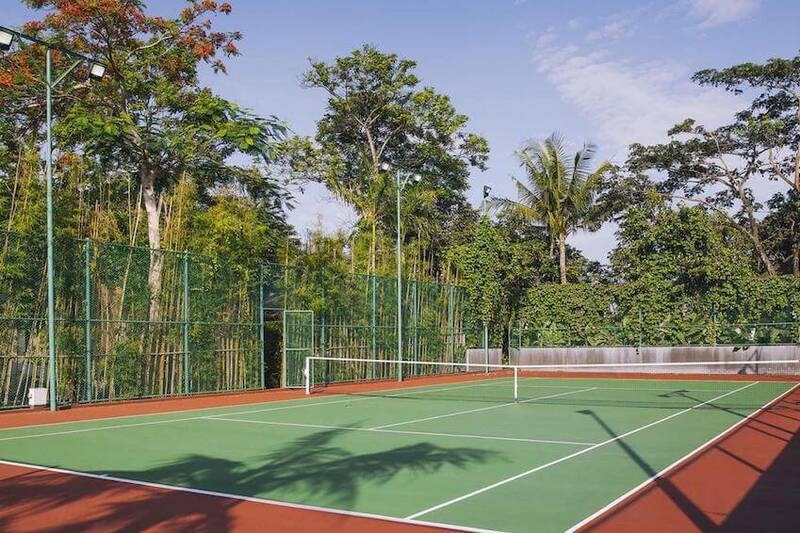 And for more entertainment, it offers special infrastructures to allow you to watch films, to stay in shape at the gym or to have a game on the mini football pitch. For an unhindered stay, a villa manager is on the spot to help you and advise you on activities and excursions in town. Moreover, a head chef is at your disposal to cook some delicious local meals. Near Sanur beach, be ready to stay in an incredible villa! Push these antique doors and cross the teackwood parquet to discover Batujimbar. On the seaside, you will admire magnificent views on the sea and on Mont Agung with high standing equipments. It is made of several pavilions of modern and contemporary comfort. Its garden is a haven of peace with beautiful ancient statues and a large balinese bed of relaxation which floats above a lotus pond. 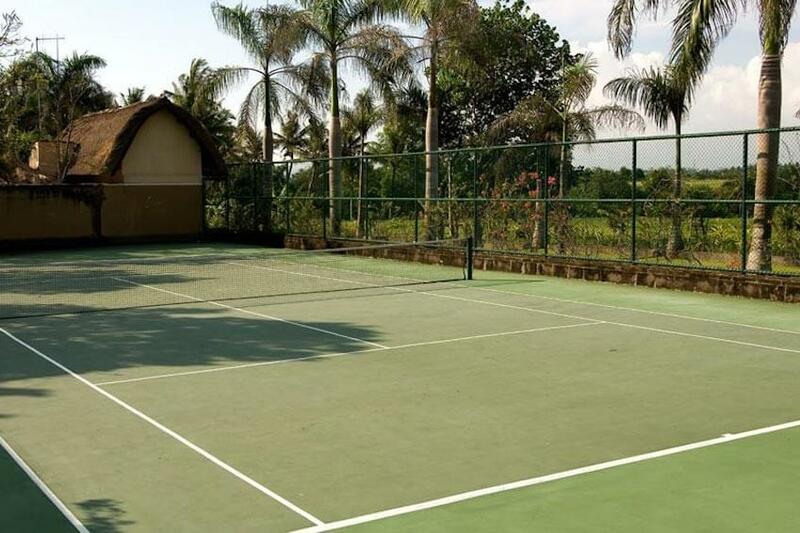 In addition to it, there is a sumptuous pool, a tennis court and a house staff at your disposal. At sunset time, facing the colorful sky which overflights the ocean, Villa Arika is one of the best beaches to surf on the West Coast of Bali. With incredible views on the Mont Agung and on the ocean, it is a unique place for a stay in Indonesia. After having collected work of arts for years, the landlord created a peaceful atmosphere thanks to a pure and authentic decoration. Furnitures are of high quality, made of marble or rattan. The swimming pool of blue tiles remains the key element of this house which contrasts with the green environment. Southern Portugal is a very popular destination among travelers for dream beaches, its charming cities, its natural spaces and the infinite possibility to indulge with all kind of activities. Near the famous beach of Carvoeiro, Villa Cliff is part of these treasures which give us the will to go to Algarve. With direct access to the beach, accessible by a small way crossing the garden, it is ideal for a family or a group of friends. 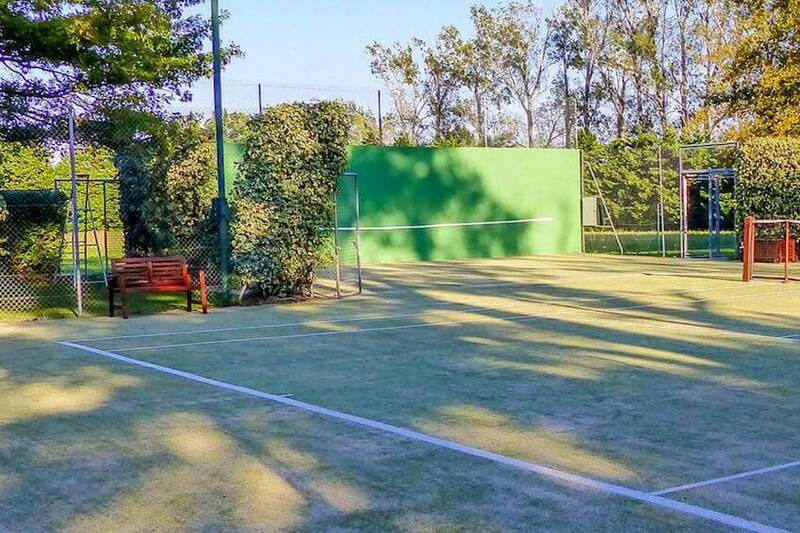 Between fig and olive trees, have an exceptional stay with the villa’s tennis court and its personal house staff. “We had a really lovely stay at the Villa. Rui and Isabel showed us such kindness. I wanted to thank Adleen and Villanovo colleagues for the extra effort you made to arrange everything for us at such short notice.” - Chirsting M.
With a private access to the sea, Louna is the perfect property for a stay in Greece. With family or friends, why not come to Elounda in Greece for your next vacation? This villa has everything of a luxurious villa with unbelievable sea views to enjoy from the private infinity pool and equipments of quality. Its internal decoration combines traditional and modern style with sobriety. Full of works of art, the rooms offer large spaces with a game room equipped of an antique billiard. Outside, olive groves, local flowers and beautiful sculptures offer you a captivating decor, just like the private and small Orthodox chapel with view on the sea. 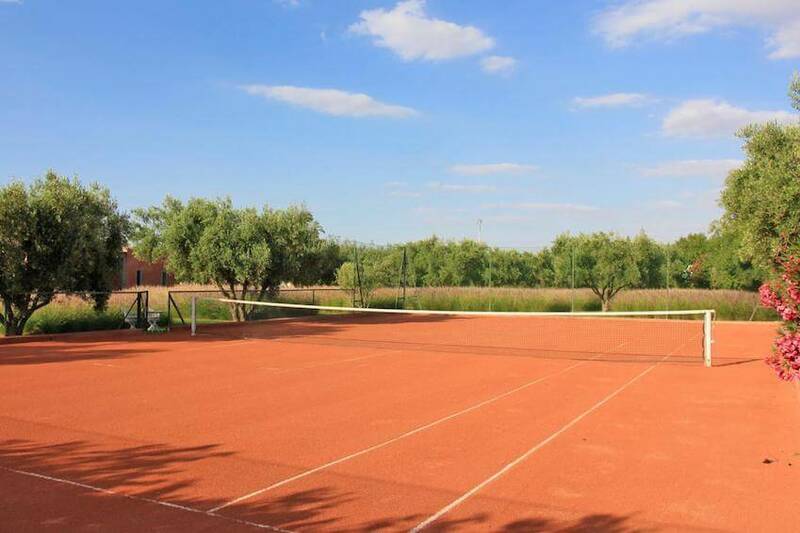 For sport enthusiasts, we also got what you need: There is a Davis Cup size tennis court with an adjacent boules court and an access to a golf course. In the Balearic Islands, known for its nightclubs and its hippy atmosphere, there are some houses isolated or on the heights which allow to have a stay in Ibiza in all tranquility. On a hill between San José and Ibiza, Villa 809 is a former country house with great views on the sea and surrounded by a meticulous garden with palm trees, olive trees and flowers. Up to 10 persons, if you choose to rent the comfortable villa 809, you will get the chance to have a private pool and tennis court. A mediterranean atmosphere which directly plunges us in vacation mood… if it is what you are looking for, discover Villa Doblo! This huge property of the XVIe century is in line with the image of the region: picturesque and authentic. Staying in this villa is benefiting from a memorable vacation in an intimate setting. From its huge gardens and pools, it allows to face incredible views on the island. The outside of the villa is just as seducing with nice fountains and colorful plantation of olive trees and jasmine. Thanks to its fitted grange, you can host celebrations and organize special events. 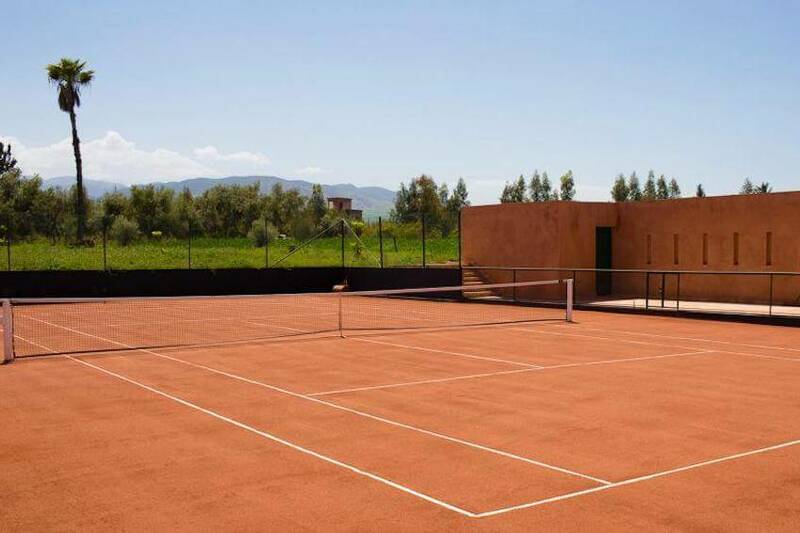 While staying in the place, you will love to have a walk in the neighbourhood and discover new villages and archeological sites and indulge yourself with golf or aquatic sports. Beyond the village of Palafrugell, we suggest you a green and sunny environment for a peaceful vacation! In a big private parc, the marvellous Villa Ainoma is an elegant country house traditionally furnished to escape from city crowd and stress. While enjoying its isolated location, you are nevertheless near the beach, coffees and tavern of the picturesque city. 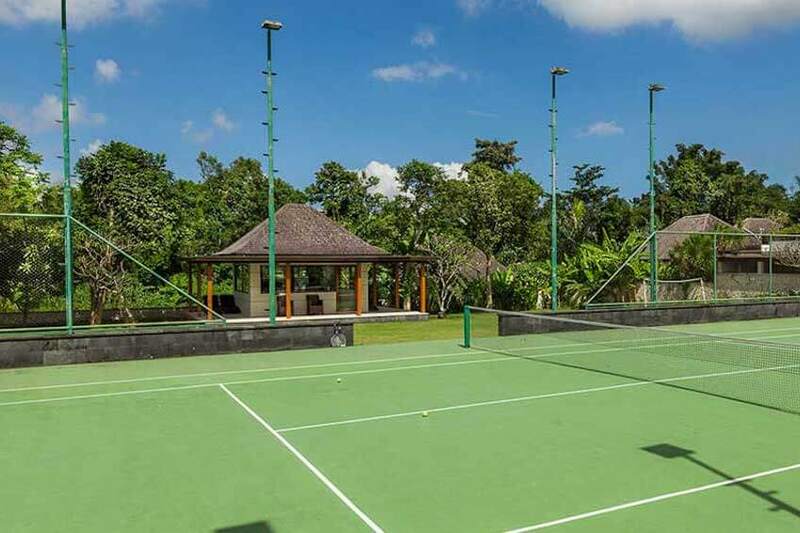 Then, inside the property, pool, tennis and game room with billiard allow you to spend beautiful moments. You will also have the possibility to try horse riding with a professional to guide you. In the foothills of the Atlas, head off in the heart of olive groves to discover the simplicity of the Berber architecture of Villa Aza. Made by the architect Imaad Rahmouni, it combines luxury, comfort and modernity with an interior decorated with vintage furnitures and a touch of moroccan style. 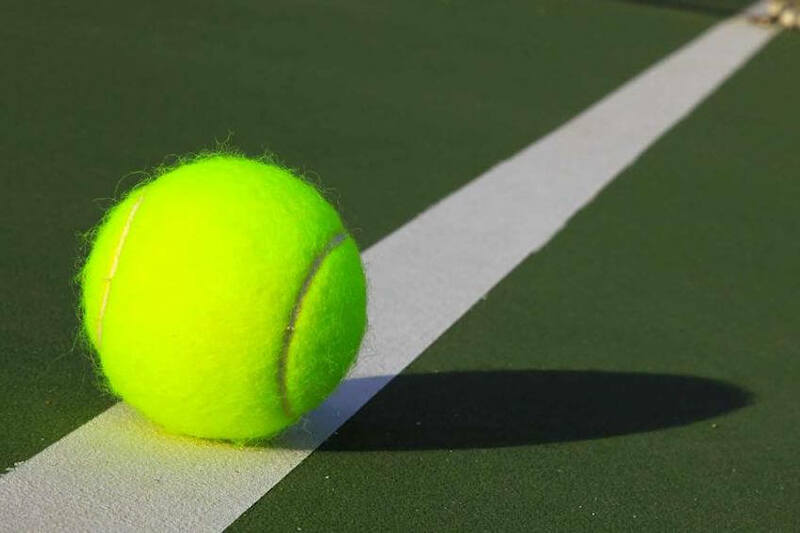 For your greatest happiness, you will get exceptional services: a tennis court, a billiard room, a heated pool, a spa with traditional hammam among others. However, your trip would not be the same without the team of 12 persons on the spot. This house staff will provide you the best service to make your stay unique. You will certainly be charmed by the traditional lamb served in a Berber tent. An boundary-breaking experience! “The staff was fantastic! Ismael and the girls in the kitchen, WOW! The architecture and layout of the property. Nothing but the best!” - Sandberg D.
Are you ready to discover Koh Samui? With the Tawantock Beach Villas, we offer you the opportunity to spend your vacation in a dream decor facing the infinite blue of the sea. Most of the open-door spaces of the villa give a view on the sea and on the wonderful infinity pool. All around, the comfortable deckchairs allow you to perfect your tan while tasting a delightful cocktail. Sounds like a dream doesn’t it? 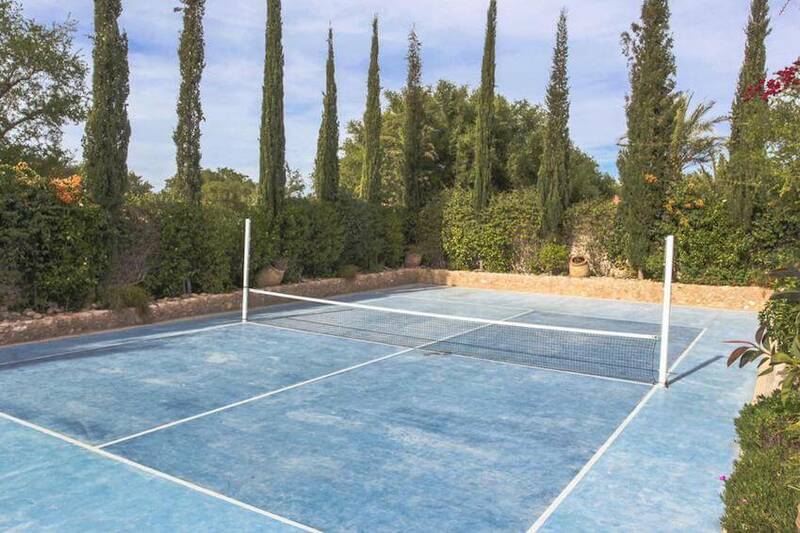 Furthermore, the two villas, which are completely independent from each other, share the famous tennis court. And what would be a trip to Thailand without a house staff? Attentive and ready to satisfy your needs, they will be there for your greatest happiness.